Nothing sets off an event better than a Hog Roast. 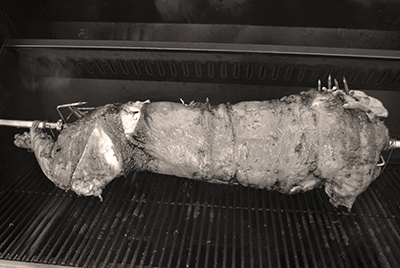 Dales have been supplying hog roasts to the local areas for over a decade. The all day event starts early in the morning when we set up the spit, hours later the air is filled with the delicious smell of roast pork and the fizz and crackle of the slowly turning pig ending in a delicious, mouth watering feast. 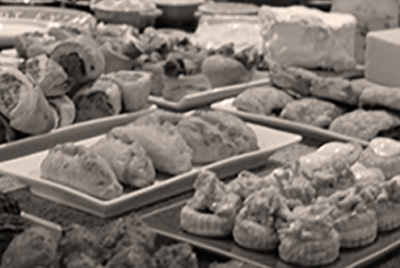 Dales provide the finest quality buffets for weddings and events no matter what the size. Our unrivaled selection of fresh meats,pies and pates guarantee that you get what exactly what you want. Our planner will sit down with you and discuss every detail ensuring you get what you want at the price per head that suits you…..all at Dales quality. AGM in a 5 star hotel, a team building exercise or a small shooting party we will provide the perfect fayre for your event. 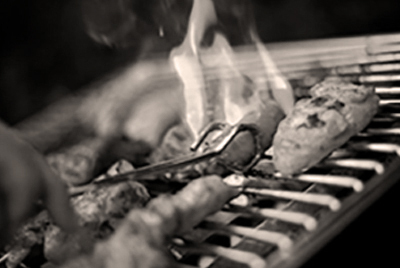 From quails eggs to sausages on a stick our fresh produce cooked and prepared by us on site ensures that your corporate days flow smoothly and punctually.